There was some dispute about George Dickinson’s ancestral claims, but Nagler didn’t care. He had lived in the area for eighty-five years and his family settled in these hills before the Revolution, whether it was the right Dickinson family or not. Besides, Nagler thought, how could you not like a man playing golf in a lime-green shirt, red knickers, a white hat and shoes and knee-high argyle socks? Newspapers recently had a story about the old Ringling compound in Jefferson being put up for sale. The mansion is owned by a Catholic order, which now wants to sell it. The place was once home to animals used in the Ringling Brothers Circus before they shifted the winter base to Florida. A segment of the old complex in now part of the Morris County golf course at Berkshire Valley. A note: I changed the name of the Dickerson family to Dickinson, just ‘cus. 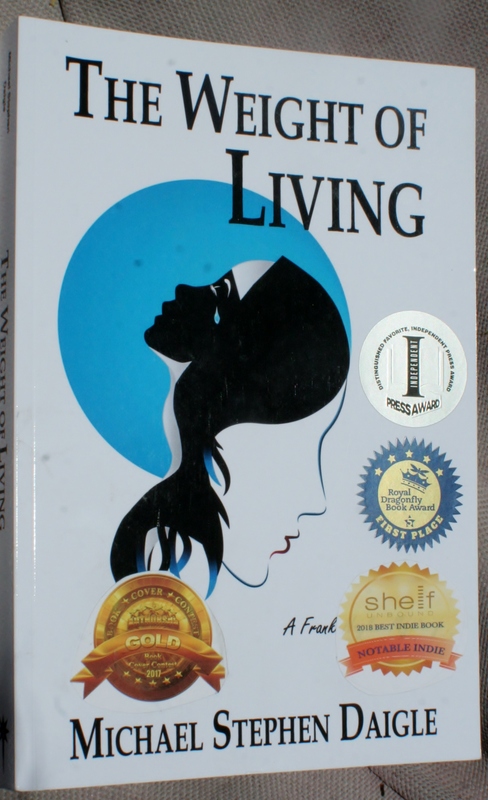 In “The Weight of Living,” the third Frank Nagler book, I needed a remote location for a compound owned by the family at the heart of the mystery and the old Ringling mansion seemed like just the place to start. George Dickinson claimed to be a distant relative of the old New Jersey governor on whose family’s land iron ore was discovered, boosting a centuries-long industry that put Ironton on the map. While the forges and mills filled Ironton’s sky with black smoke, miners cracked open holes in the ground in the northern hills to drag out the ore. The forested hills were deeper and darker than Nagler recalled, as if the sunlight skipped over the tops or was absorbed by the dense forest. Nightfall would come early here, he thought. Steep-sided valleys carved by glacial water and ancient rivers split the hard-rock hills into segments that made up a mining district that ran to eastern Pennsylvania and produced iron ore, zinc, slate, coal, and limestone. He had read somewhere that the hills he had driven through had once been clear cut of all the trees as the need for wood outstripped Nature’s ability to replace it. The narrow river valleys left no room for roads, so old Leni Lenape Indian paths that hugged the valley floors had first become trails for settlers, then wider paths for wagons, until finally a couple rail lines were cut for the mines. That’s all gone now, Nagler had thought as he drove through the beautiful yet unsettling landscape; overgrown, collapsed on itself, the history of industry and struggle worn down through time; it was a closed-in and moody place, perfect, he decided, for the twisted visions of Remington Garrettson. There’s probably nothing left of the old compound, he guessed, even if Lauren spotted a powerline. But after a couple weeks of poking into every vacant fallen-down shell of a building in the city, every empty home with windows of gray, soggy plywood and even some of the addresses attached by paperwork to the Mine Hill Foundation, there had been no evidence that Tank Garrettson and his buddies had been staying in any of them. We’ve looked nearly everywhere else, so why not here? Nagler shaded his eyes from the sunlight with one hand. The clear blue sky rose like a dome above the green valley. I’m never ready for this stuff, he thought with irritation. I never bring a hat and always leave my sunglasses in the car. “Those walls the remains of the elephant sheds?” Nagler asked. He nodded toward a stone framework with arches in the middle of one of the golf holes. A stand of medium-tall trees grew near the sheds; Nagler imagined the tree from which Sarah Lawton was hanged would have been taller. Before Dickinson could answer, the echo of a distant explosion rolled off the hills and across the golf course. “Ha! That’s the arsenal. They develop weapons there and once in a while blow stuff up. It kinda announces itself without warning,” Dickinson said, winking. “Damn it. So how many people…” Nagler asked again. Dickinson settled the ball on a tee and pulled out a driver with a head the size of a grapefruit. Nagler recalled a line from Jimmy Dawson, who said in other sports the players took steroids, but in golf it was the equipment that grew. Dickinson took a smooth swing and the ball jumped out maybe a hundred and fifty yards, driven less by the power of the swing than the size of the metal clubface. “So where’s the old Garrettson place from here?” Nagler asked as Dickinson lined up another shot: He topped it and the ball bounced out about thirty feet. Dickinson took another swing and with an iron drove the ball cleanly down the fairway. “Makes sense. Anyone been seen up there recently?” Nagler asked. Nagler turned away and stated into the green hills. Has to be Calista. What the hell? Dickinson set his ball on a tee and turned away from the center of the fairway. “I could do this as a kid. Let’s see.” He struck the ball hard and it sailed in an arc into the stone frame of the elephant sheds. “Ha!” he shouted. Nagler just laughed at the old man’s joy. He shook his hand and walked back to his car. “Any time you want to play, call me,” Dickinson yelled. 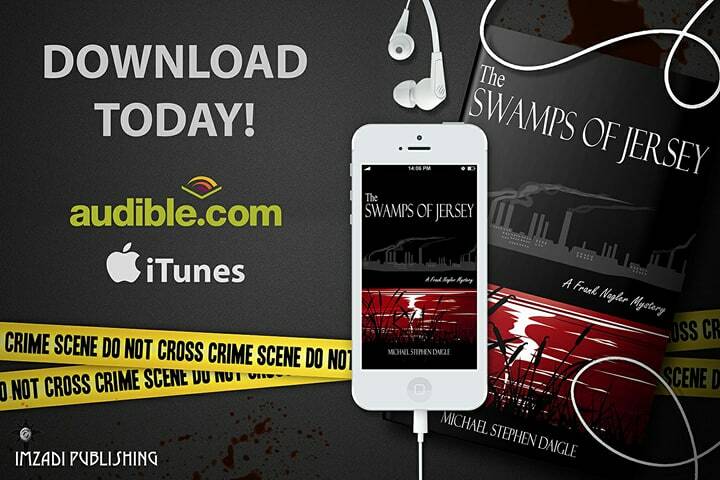 This entry was posted in Fiction, Greater Lehigh Valley Writer's Group, Hot in Hunterdon; Georjean Trinkle, Imzadi Publishing LLC, Michael Stephen Daigle, Mystery Writers of America, Sally Ember, www.michaelstephendaigle.com and tagged "A Game Called Dead", "The Swamps of Jersey" Imzadi Publishing, "Who shot the smart guy at the blackboard? ", Anita Dugan-Moore., Audible.com, Audio books, Frank Nagler, Independent Press Award, Kirkus Reviews, Lee Alan, Morris County, New Jersey, Royal Dragonfly Book Award, Shelf Unbound Indie Book Awards. Bookmark the permalink.